Having Anna as our wedding photographer was one of the best decisions we could have made. She took me from feeling super stressed out, to calm and excited. She was so professional and organised and you could tell she is really good at her job. On the day, she just did everything without me even noticing. She was such a calm presence to have there on the day, even though she was constantly working, I hardly even knew she was there – that’s how good she is! For the photo shoots she made us feel so comfortable, we could really just relax and enjoy being in the moment. We also really felt like she went above and beyond what was expected of her. 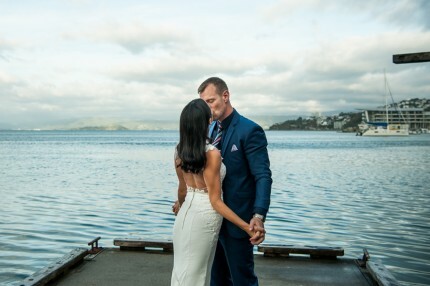 The photos of our wedding are so amazing, the best wedding photos I have ever seen! We are just so happy and will highly recommend Anna to anyone looking for a photographer. We will definitely be using her in the future for any other photography needs. 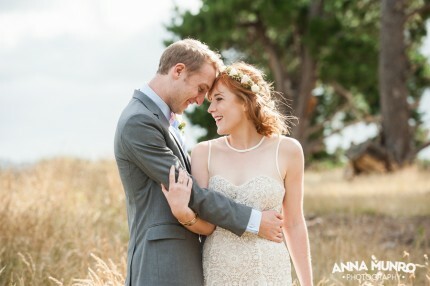 Anna was a dream to work with and I am so glad she was our wedding photographer. Working with you was a pleasure. You always let us know what to expect and when, were quick to respond to any queries, and left us with no doubt that everything was under control. Planning a wedding is inherently stressful but our photographer was one of the few things we didn’t lose sleep over before the big day!A+ communication before and after the big day left us in no doubt everything was under control. We always knew what was happening and when, and felt like we could rely on her from day one.On the day itself you and Ryan were warm, unobtrusive, and super efficient. Anna has real attention to detail and an eye for capturing naturally beautiful shots. There are so many ‘aww’ moments in our photo collection (and what a large collection it is too! )Professional from start to finish – you and Ryan were able to get people where and when you wanted them without being bossy or overbearing. You got the shots you wanted without being intrusive, and everyone we have spoken to thought you did an awesome job.Anna you did a beautiful job, thank you! Anna was wonderful to work with. She encouraged us to do an engagement shoot before hand which was a really good idea. Great way to break the ice and get used to being photographed repeatedly. Anna is really skilled at helping you feel relaxed so you can be yourself throughout the process.She was assertive when required (with organising family shots etc) and was relaxed and ready to have a laugh when it suited too. She made our entire bridal party feel important and included and the whole process ended up being a whole heap of fun for everyone involved.We picked Anna because we felt she had an incredible ability to capture special moments where the person being photographed didn’t realise they were being photographed (they always make for the best images). Her photos of our day are better than we could have ever hoped for and we would recommend her in a heartbeat. Thank you for doing such an amazing job Anna and we can’t wait to work with you again soon! Had a fantastic experience with Anna. 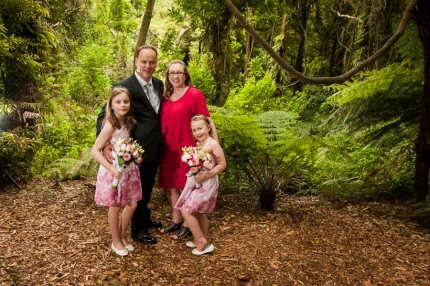 She photographed our family and was brilliant with our two kids (3 and 6 months). We couldn’t be happier with the photos she took. They exceeded our expectations and we absolutely love them! Totally recommend!